More than 40 electric vehicles will be on display or available to test drive at Liberty Station Saturday on San Diego’s popular annual Electric Vehicle Day. The free event, sponsored by San Diego Gas & Electric, Cleantech San Diego and the Center for Sustainable Energy, will feature such vehicles as the Mitsubishi Outlander, Nissan LEAF, Chevy Bolt, Chevy Volt, BMW 330e, Honda Clarity Electric and Toyota Prius Prime Hybrid. Booths will provide information on buying, owning and charging an EV. There’s also an activities tent for kids, and food vendors. During the event from 10 a.m. to 3 p.m., the nonprofit Plug-In America will hold random drawings for 15 $1,000 rebates on new electric vehicles. 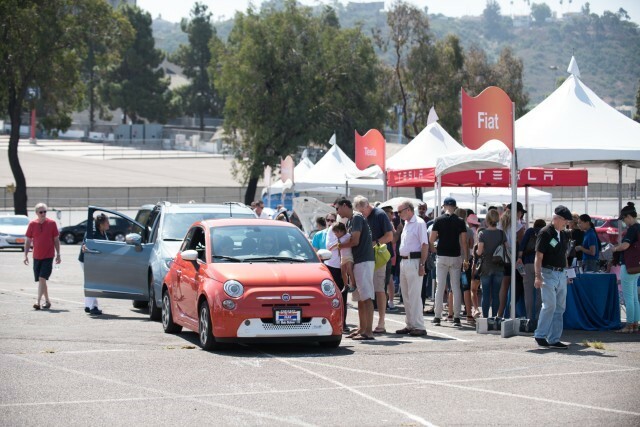 Now in its sixth year, the EV day has grown along with interest in electric vehicles. The San Diego region is home to 30,500 EVs and nearly 1,500 public charging stations.